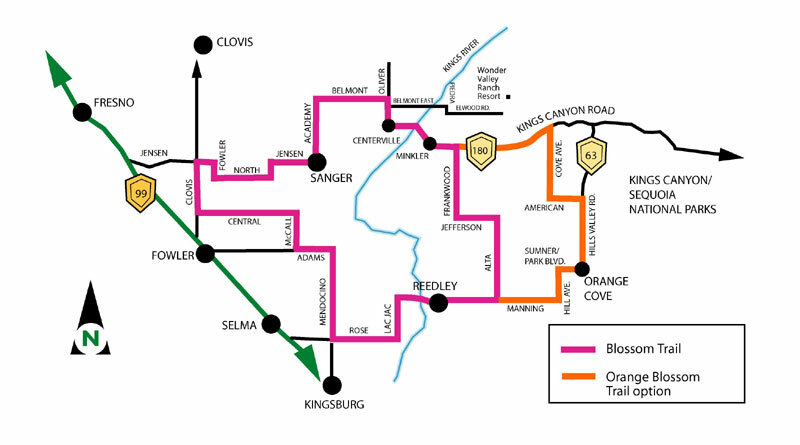 The 2019 Fresno County Blossom Trail is in full bloom! 2019 marks 31 years of the trail, which attracts more than 20,000 visitors each year. FRESNO, Calif (KFSN) -- The Fresno County Blossom Trail is in full bloom! The recent storms did cause some concern for the Fresno County Farm Bureau because too much rain could impact the blossoms which start to open around this time. For more information on the Blossom Trail, check out the group's website, GoBlossomTrail.com. Click here to see the map of the Blossom Trail if you would like to check out the blooming trees.